I am a Senior Lecturer at Chelsea College of Arts, part of the University of the Arts London. I teach at Graduate and Post Graduate level. In 2016-17 I was the Course Leader for MA Interior and Spatial Design. The MA interior and Spatial Design at Chelsea has an international reputation and receives over 400 applications each year for around 60 places. We have numerous Alumni doing amazing things in the art and design field across the globe. All things, (who designed the Designs of the Year exhibition 2016 for the Design Museum). As a lecturer and practitioner I am committed to exploring cross-disciplinary and inter-disciplinary creative practices. I have practiced and taught across fine art and design. I have also practiced and taught across a range of design disciplines, including Graphic Design, Interactive Media, Motion Graphics, Design for the Environment, and Interior and Spatial Design. I am convinced by a research-led creative practice and I promote (calculated) risk-taking as a learning activity through conceptual and material experimentation. I believe design is not only about producing solutions for "clients" but also about changing thinking to challenge boundaries and develop a critical, context aware design practice that is resilient in a fast changing and unpredictable world. In January 2018 I was commissioned to take part in theBeyond 2001 Exhibition to mark 50 years since Kubrick's 2001 Space Odyssey and 10 years since the set up of the Kubrick Archive at LCC. In February 2018 I organised a funded live project The House of Daydreams with BA and MA students at the Tate Modern Tate Exchange in collaboration with Shibboleth Schecter and Marsha Bradfield as part of Building Future Communities. In March 2018 I showed work in the Notating Space exhibition with the Spaces and Narrations Group at Chelsea. Activity in 2017: VR is back! I have a long history of working with Virtual Reality technology and in response to its re-emergence I organised a series of four Virtual Reality Symposia at The Tate Modern part of a series of events organised by the Digital Maker Collective. I also wrote an outline for a unique BA in Virtual Reality for UAL. I also spoke at the Betalab sessions at Ravensbourne College organised by Patrick Morgan. Between 2014-6 I was a consultant (Higher Education) for the new Design Museum as it planned its strategy ahead of the move to the new site. The role involved discussions on how to deliver an ambitous educational provision allowing the Design Museum to build on its existing strengths and offer an enriched experience to its visitors to the Kensington site. 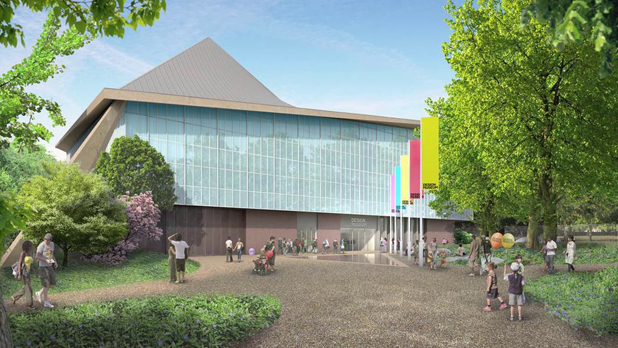 Read more about the New Design Museum here.